Every year I struggle to decide where to put Christmas cards. 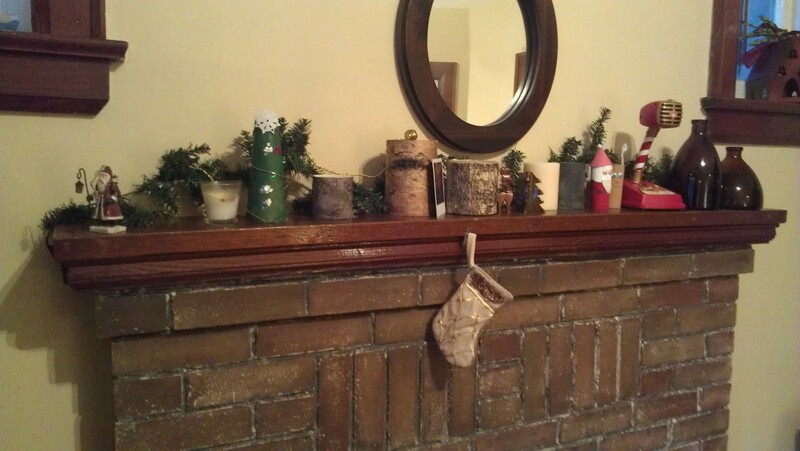 Our mantel is full of Christmassy stuff (see below) and they fall off there with a slight breeze. Every time someone walks by, there’s a massive Christmas card collapse. 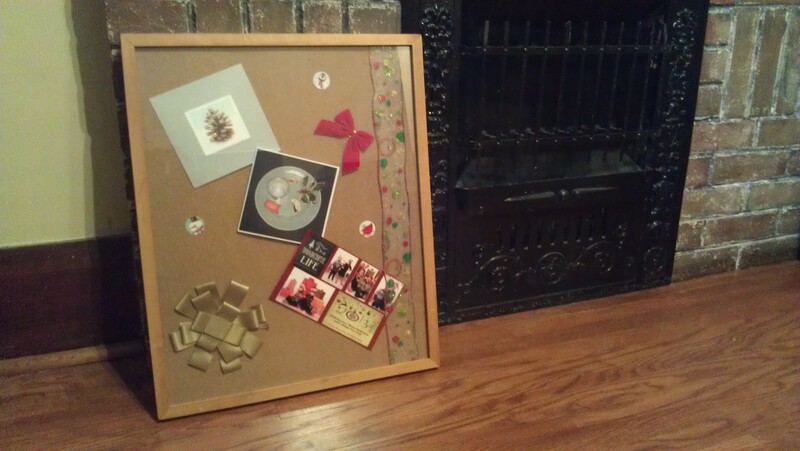 I researched a lot of options and looked at a lot of original ideas (also see below), but, upon looking through my “stuff” downstairs, I found this frame and decided to do a basic seasonal display. And I actually found 5 of these frames, so I can display more than 3 cards (so send me cards, friends)! …without an inch to spare! 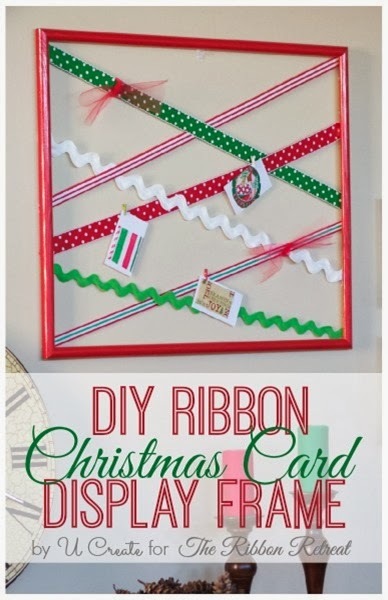 And U Create Crafts had a frame-based ribbon display that led me to search for those frames! Design Improvised’s casual wall display would’ve been very simple to add to as I acquired more cards. 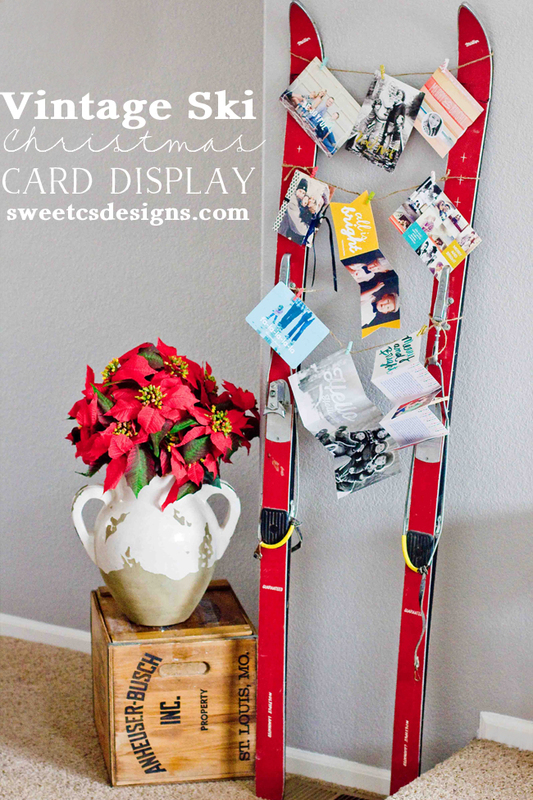 And I love the homey, classic feel of Sweet C’s Designs’ vintage ski display. 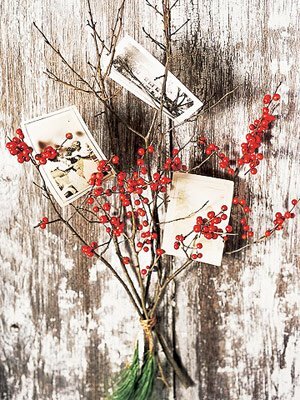 You can get back to nature with this branch display from Square Pennies. And Fynes Designs’ mousetrap card display is definitely original! In the end, it was all about material availability, and I was overjoyed when I found these overlooked frames. I went through my Christmas wrapping to grab some bows and ribbon, and “borrowed” a few Christmassy stickers from my kids. 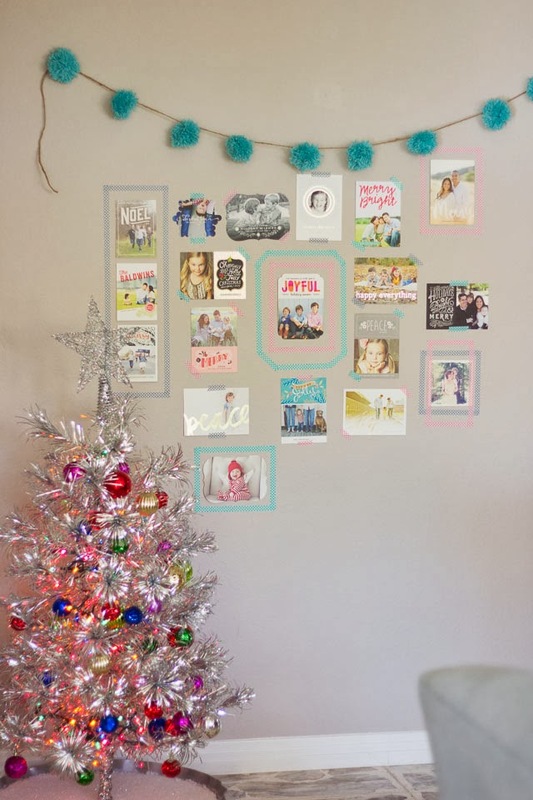 I just scotch-taped everything onto the matte, but you could put some plain paper, or even some Christmas paper (if you wanted to get really crazy!) in the background. 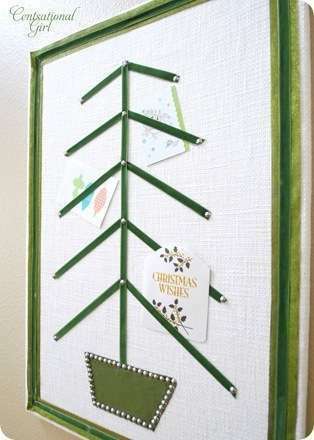 I’m just leaning this against my “fireplace,” but when I’ve made 3 or 4 I may borrow Kimberly’s idea and use the 3M Command Wall Hanging Stickers to hang them on the wall.